Roller derby is a full contact sport taking the world by storm. 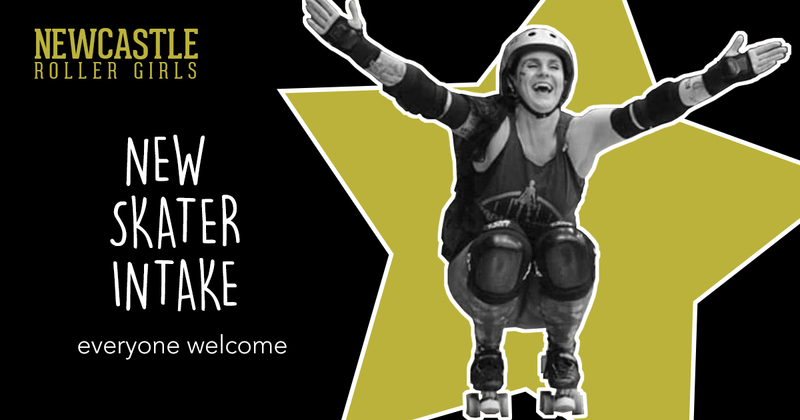 This is your chance to join Newcastle Roller Girls and learn how to play. As long as you can stand up in a pair of skates, we’ll teach you the rest. You don’t have to be a whizz on eight wheels and we don’t start full contact until you’re ready for it. Our new skater intake starts on Sunday 14 January 2018 and will run every Sunday for 15 weeks (with a break over Easter) from 10.30am-12.30pm. Sessions take place at Walker Activity Dome, Wharrier Street, Walker, Newcastle, NE6 3BR. Each session costs £5. Save money by booking a block of five sessions for £20! Plus £1.50 for kit hire each time it’s required. Skaters need a helmet, wrist guards, elbow pads, knee pads and quad roller skates (sorry, no blades). Don’t worry if you don’t have your own – we can loan you everything you need to get started. If you need to hire kit, please arrive at 10am. If you have your own gear, make sure you’re kitted-up by 10.30am. Equipment is available to hire on a first come, first served basis. Popular sizes will go quickly! If you have done a new intake course before, we would love to see your faces again. Our new intake is open to anyone over 18. If you look under 21, please bring photo ID. If you are under 18, check out our Newcastle Junior Roller Derby League on Facebook. Attendance requirements: our new intake course requires commitment. You should try to attend all 15 sessions. It is essential that you attend the first or second week to learn the basics of derby safety. If you can’t do this, you will have to wait until the next intake. Previous PostNewcastle Roller Girls Proper Mint Pub Quiz – 30 November 2017Next PostEuroClash is back!